People leave New Caledonia for a variety of reasons; to find work, to study, for a new experience. For Mickaël Partodikromo it’s always been football. The talented young footballer first left the French territory to attend the the Asia Pacific Football Academy and like many students of football like All Whites Cameron Howieson and Bill Tuiloma, he was soon graduating to the professional game. 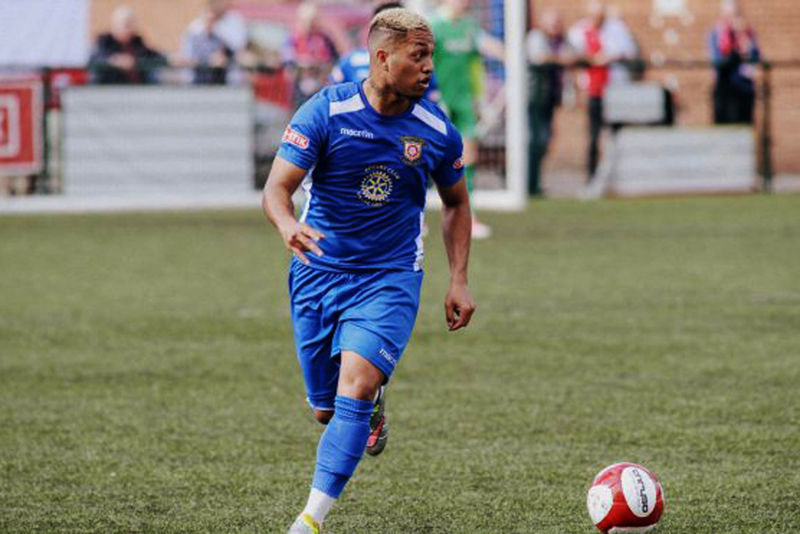 Partodikromo trialed at Sheffield United, a club in England, and joined the development squad soon after. He spent two years there before the club opted not to offer him a professional contract. It was a big learning curve for the young midfielder, who returned home to New Caledonia and his parents with his head in his hands. “It was very hard, it was my first failure,” he recalled. More motivated than ever, he was soon back on his feet and this time remained in the Pacific joining New Zealand Premiership side Team Wellington. Next was a trail with Laval – at the time home to fellow Cagous Cesar Zeoula – and after a month once again he was hit by disappointment with this club opting for a player that came out of its own academy. So he joined a small club in the Paris region before heading off to England once more. Partodikromo joined Northern Premier League side Rushall Olympic and in one season was the talk of the team, picking up the Best Player of the season award for 2016-17. The club offered an extension of a year, with the terms of contract but Partidikromo once again had other plans. In August he joined Sutton Coldfield Town, still in the Norther Premier League, and he has strong hopes of picking up a professional contract by the end of the season. Partodikromo has spent a lot of time away from his family, but said the support he continues to receive from his parents keeps him going. “My parents have told me that no matter what I do, they will support me,” he said. It’s a good feeling for the young Caledonian who credits his father with igniting his passion for the game. “When I was little, everyone would ask me who my favourite player was and I always said ‘my dad’.